Most serpents are not what you’d call discerning diners. If it’s warm or smells like food, it might be fair game to a hungry python. Such open-mindedness is a double-edged sword because, as a great many veterinarians can attest, the limbless reptiles will sometimes devour things that were never meant to be ingested. Here are eight of the wildest items to have ever turned up in a snake’s stomach. One day in 2015, Queensland man Aaron Rouse was feeding a rat to Winston, his pet Woma python. Suddenly, things got out of hand. With surprising vigor, the two-year-old snake grabbed hold of both the rodent and Rouse’s feeding tongs. After Winston refused to surrender the forceps, his owner walked away and left them inside the cage, assuming they’d be released. Instead, once the python finished his supper, it ate the utensils for dessert. “I was dumbfounded,” said Rouse. He immediately reached out to Dr. Oliver Funnell, a vet who teaches at Adelaide University, who was equally flabbergasted by Winston’s predicament. “Through the skin you could feel the bumps on the end of the tongs, and at the other end the relatively square hinge could be seen obviously protruding,” he later told the press. Rather than let Winston try to regurgitate the contraption, Funnell’s medical team put the snake under the knife. Rouse’s beloved pet made a full recovery. Hollingsworth took the serpent to a nearby animal shelter, where it underwent surgery and survived the embarrassing ordeal. Chicken breeders who can’t afford ceramic eggs will sometimes use golf balls instead. These present a real problem to wild serpents, which tend to mistake the white, dimpled spheres for bird eggs. Back in 2012, kind-hearted South Carolinians rushed a hapless yellow rat snake to a veterinarian after it had gobbled up one farmer’s Titleist-brand ball. Earlier that year, an Australian carpet python was forced to endure a similar operation when it engulfed not one but two golf balls. Last March, a family living on Queensland, Australia’s Gold Coast received quite a shock when a six-and-a-half-foot carpet python slithered across their backyard. Terrified, they grabbed their pet dog and evacuated the premises. Left behind in the melee was a teddy bear named “Ted,” who happened to be the pooch’s favorite chew toy. Defenseless and covered in dog saliva, poor Ted smelled like an easy meal to the python, who swallowed Ted whole. Shortly thereafter, local snake catcher Tony Harrison apprehended the intruder. The snake was lucky enough to receive medical attention, where an X-ray scan confirmed Ted’s fate. Through an emergency operation, Dr. Matthew Hollindale extracted the plaything, much to the delight of its canine owner. The python, too, was saved—and given 15 stitches as a souvenir. Since then, the reptile has been released back into the wild. Talk about a light meal: In 1986, a four-foot pine snake passed through the backyard of Lynn and Carman Clark in Gainesville, Florida. The Clarks were chicken-keepers who illuminated their coop with 15-watt light bulbs. “When the bulbs burn out, we just throw them onto the yard,” Lynn would later admit. One poor snake happened upon two of the family’s discarded bulbs, thought that they looked like chicken eggs, and ate them. The reptile was soon spotted by the Clarks, who couldn’t help but notice two unnatural-looking bulges protruding from its sides. So the couple brought the snake to a vet at nearby Santa Fe Community College. From there, it was transferred to the College of Veterinary Medicine at the University of Florida, where the bulbs were removed in a 45-minute operation. Elliott Jacobson, a wildlife medicine specialist at the university, noted that if the critter hadn’t undergone surgery, the glass would’ve shattered inside its stomach and killed him. Instead, the snake was set free after three weeks of observation. “His future looks bright indeed,” Jacobson quipped. In 2014, a red-tailed boa constrictor known as “Killer” made headlines after his owner, an unnamed reptile hobbyist in the Tampa Bay area, fed him a live rat. As it was being engulfed, the rodent grabbed hold of a towel that was lining the bottom of the cage. Killer then accidentally swallowed the towel and his intended supper in one big gulp. “The towel came with the rat,” said Julia Shakeri, the veterinarian whose surgical team went on to save the boa. Last year, a female brown tree snake crashed an outdoor barbecue party in Black River, Queensland. An animal control professional was called over to relocate the mildly venomous reptile. At some point, it was discovered that the snake had a hard, golf-ball sized mass nestled inside of its stomach area. Doctors at the Townsville Veterinarian Clinic agreed to remove this mystery object. Bizarrely, an X-ray revealed that it was a round, rubber bush—which is normally found on the torsion bar of an automobile. 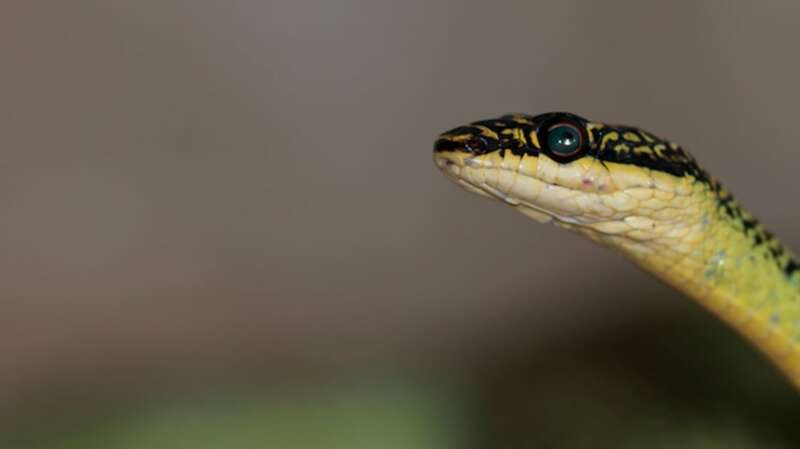 “The snake was probably trying to eat a frog that was sitting on it,” theorized surgeon Linda Schiemer. Those of you with strong stomachs can watch a video of the clinic’s (successful) operation here. Up in Ketchum, Idaho, a Burmese python named Houdini once became something of a minor celebrity. The 12-foot snake was kept by snake fancier Carl Beznoska, who endeared his python to kids throughout the community by bringing it to local schools for educational visits. In 2006, Beznoska noticed that Houdini looked a bit thicker than usual. Moreover, the queen-sized electric blanket with which he’d been heating the snake’s enclosure had mysteriously vanished. Houdini was taken to a vet’s office where, lo and behold, an X-ray confirmed that the overzealous python had eaten his special blanket—cord, control box, and all. In all probability, the massive snake mistook the heated sheet for warm-blooded prey. Thankfully, his dietary misadventure wasn’t fatal; doctors were able to pull out the blanket in an operation that called for making an 18-inch incision across Houdini’s belly.